Remember back in August when we were promised that Canada would be receiving two LittleBigPlanet pre-order campaigns? Well we received one right away, as EB Games has been giving away vouchers for a Kratos in-game costume for weeks now. Finally though it looks like the second campaign has launched, this one at Future Shop. 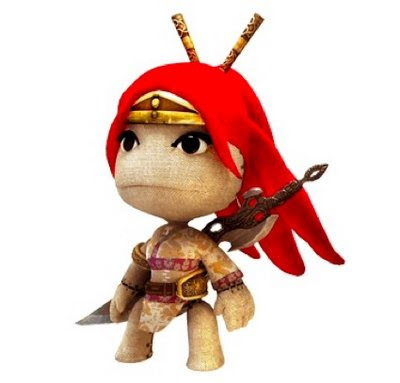 If you pre-order the game before October 21, you can get your hands on a free Nariko (of Heavenly Sword fame) in-game costume. Apparently the Nariko in-game costume has a retail value of $5.00. I guess it's a good thing Sony's giving the costume away for free, because I don't think I'd fork over $5.00 for any in-game costume. That's half the price of Mega Man 9!